Spot styrene prices in Asia and Europe have mostly followed a downward trend since August. According to ChemOrbis Price Wizard, the weekly average prices have plummeted to their lowest in 6 months in Asia while European values hit a 3-month low this week. The declines were in line with the recent losses in the energy complex and downstream markets. In Asia, ample styrene supplies across the region were blamed as the main reason behind the ongoing bearish trend. 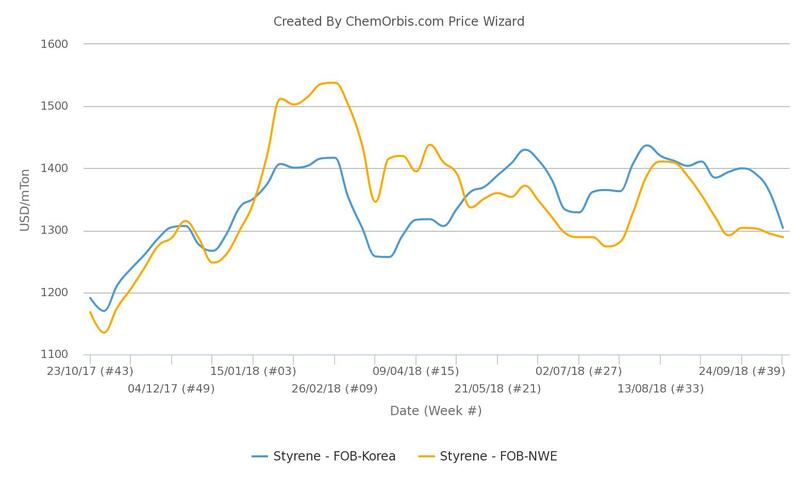 Spot styrene prices on an FOB Korea basis plunged by around $100/ton since October started, ChemOrbis data suggested. The lower prices resulted in slow trading activity for styrene with market sources in China reporting sluggish demand from downstream producers. 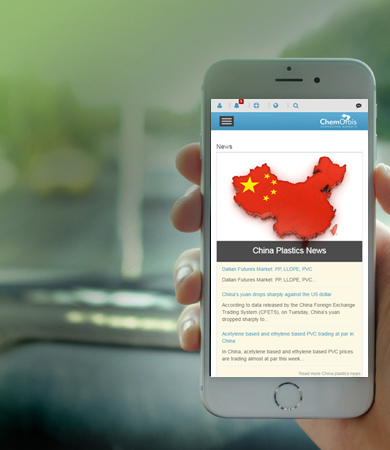 Lower ethylene prices in Asia and domestic styrene prices in China also added to the weak trend. Another factor that reinforced the bearish trend was falling Asian benzene costs as they moved down to their lowest levels unseen since July. Styrene prices in Europe followed suit, although prices recorded more modest cuts when compared to the falls in Asia. Spot offers on FOB NWE basis lost around $15/ton when compared to the beginning of the month, which also weighed down on the outlook in downstream PS and ABS markets. Meanwhile, the gap between styrene prices in Asia and Europe narrowed to a 2-month low of $15/ton following the sharper drops in Asia from around $90/ton in early October.